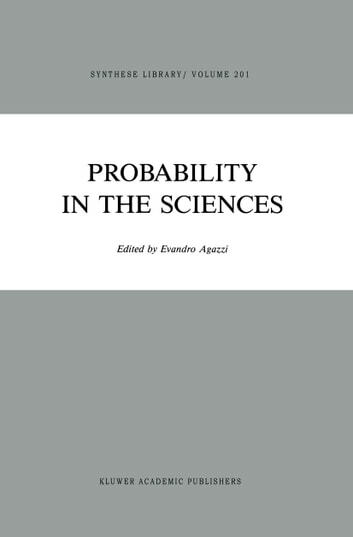 Probability has become one of the most characteristic con­ cepts of modern culture, and a 'probabilistic way of thinking' may be said to have penetrated almost every sector of our in­ tellectual life. However it would be difficult to determine an explicit list of 'positive' features, to be proposed as identifica­ tion marks of this way of thinking. One would rather say that it is characterized by certain 'negative' features, i. e. by certain at­ titudes which appear to be the negation of well established tra­ ditional assumptions, conceptual frameworks, world outlooks and the like. It is because of this opposition to tradition that the probabilistic approach is perceived as expressing a 'modern' in­ tellectual style. As an example one could mention the widespread diffidence in philosophy with respect to self -contained systems claiming to express apodictic truths, instead of which much weaker pretensions are preferred, that express 'probable' interpretations of reality, of history, of man (the hermeneutic trend). 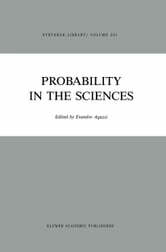 An ana­ logous example is represented by the interest devoted to the study of different patterns of 'argumentation', dealing wiht reasonings which rely not so much on the truth of the premisses and stringent formal logic links, but on a display of contextual conditions (depending on the audience, and on accepted stan­ dards, judgements, and values), which render the premisses and the conclusions more 'probable' (the new rhetoric).